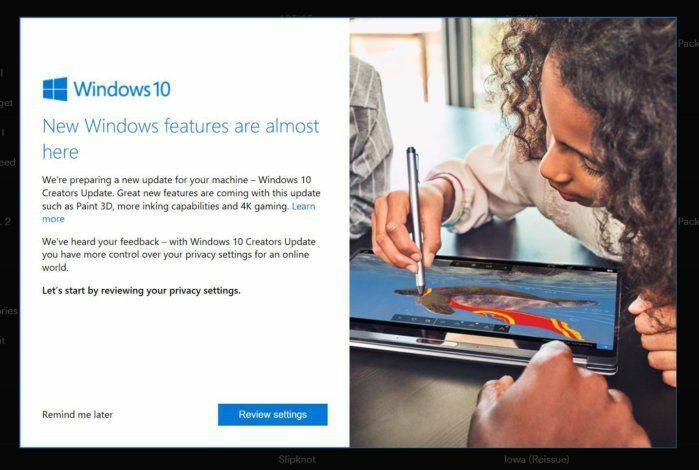 Microsoft would prefer it if you didn't try to install the Windows 10 Creators Update yourself. Instead, the company is encouraging everyone but advanced users to wait for the Creators Update to become available via Windows Update. That means workarounds for excited users, like the Media Creation Tool or the Windows Update Assistant, are discouraged. The reason for all this hesitation, according to Microsoft, is that the company wants to iron out any issues for specific hardware configurations before making the upgrade available to affected PCs via Windows Update. Microsoft is doing this using the feedback mechanisms in Windows Insider builds, as well as general feedback from users currently running the Creators Update. 1. Document the issue and provide some troubleshooting advice on places like the company's forums. 2. Add a fix to Windows or work with a hardware maker to make a driver change. 3. Block impacted devices from receiving the Creators Update via Windows Update. One issue that Microsoft cites as an example is a problem with certain Broadcom bluetooth radios that are having connectivity issues. Microsoft posted some troubleshooting advice on the company's forums once the issue was identified. The company also temporarily blocked anyone else with the same radio from getting the Creators Update over Windows Update. The company plans to remove the block once a solution is found. The story behind the story: Microsoft's old school software testing team was greatly reduced a few years ago, and it's pretty clear that the Windows Insider program isn't picking up the slack in full. So it's not surprising to see Microsoft encourage patience for those who want to upgrade. The Anniversary Update also had several issues in its early days, such as Kindle devices triggering the dreaded BSOD, broken webcams, and the infamous freezing issue. Annoying, undiscovered bugs are likely the new normal for the early days of Windows feature releases. As a result, most users should get used to waiting a little longer than expected for Microsoft's latest and greatest. This story, "Don't install the Windows 10 Creators Update on your own, Microsoft advises" was originally published by PCWorld.